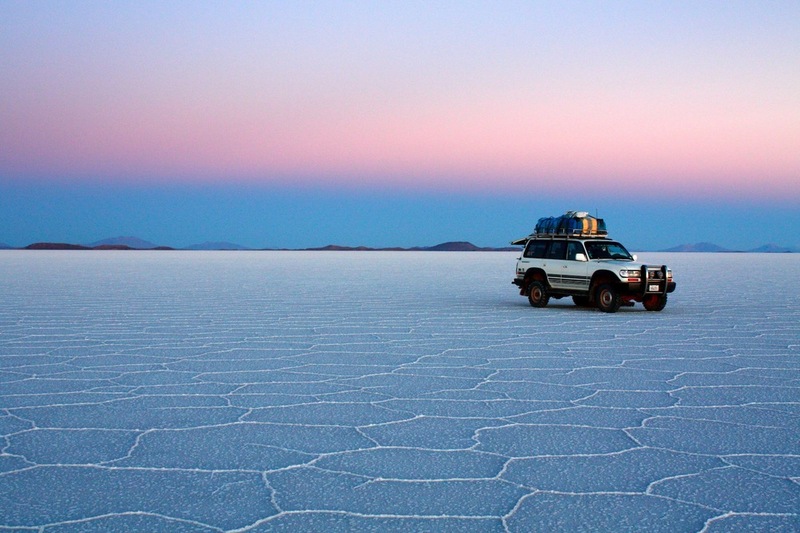 Last Monday we embarked on our Salar de Uyuni four-day tour. 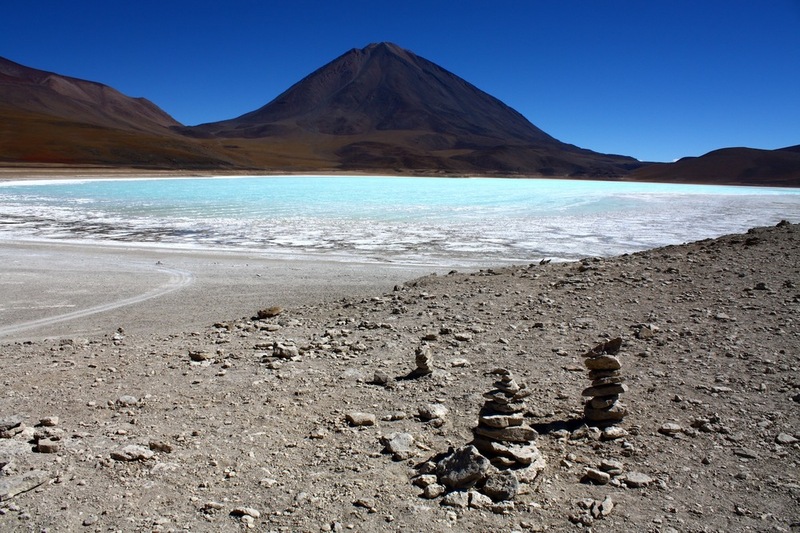 However, the tour name is inexact as the Salar (salt flats) is only visited on the final day – the other three days are filled with similarly breathtaking but extremely varied landscapes of southern Bolivia. We left Tupiza with Grano de Oro tours after hearing several positive reviews from other travellers on the way. Our guide and driver was Ruben, our cook was Rosemary, and a French couple on their honeymoon, Lea and Xavier, were our trip buddies. As we steeply climbed out of Tupiza for four days of unpaved wilderness I thought, “Hmmm, there is not much between our vehicle and the bottom of these very deep gorges that seem so close to the gravel tracks.” I felt my palms go clammy as I held on tightly to the door-handle, while wondering what would be the best position to adopt if we did take a tumble a hundred metres down one of these drops just inches away. Thankfully, we passed this first part of the drive with no incident, thanks to Ruben’s fast-paced but careful driving. The first day consisted mostly of driving, with short stops for photos and lunch. The final stop of the day was a very basic mud hostel where we spent our first, freezing night of the tour. I cannot describe how cold this place was. The high altitude contributes to a very cold, dry environment. Four layers of clothing, a sleeping bag and four blankets could not stop me from shivering as I tried to fall asleep. 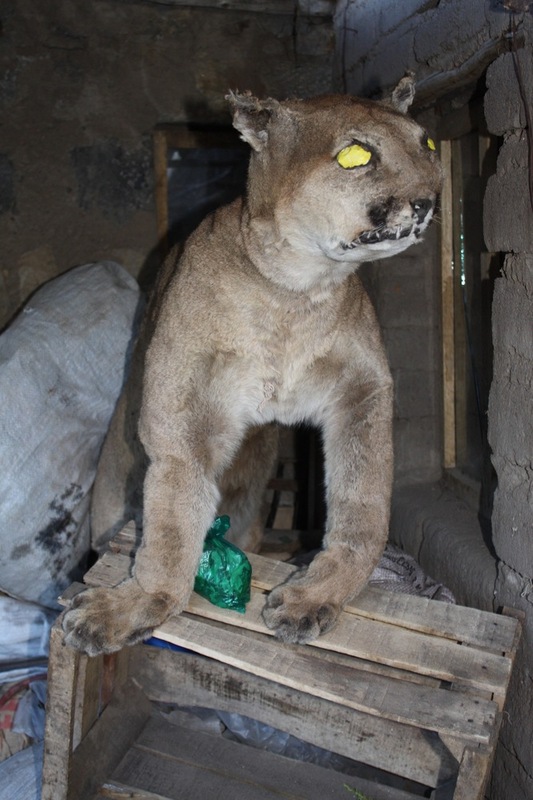 To make matters worse, the toilet was outside across the courtyard and there was a horrific stuffed puma nearby that looked like a very amateur taxidermy attempt. Needless to say, I held on till the morning. On the morning of our second day I welcomed the sun’s warming rays with open arms. What a relief! My favourite lake of the day was Laguna Verde (Green Lake), which takes its colour from a combination of arsenic and sulphur. Fascinatingly, you can find fossils of corals in a large part of southern Bolivia as many millions of years ago it was all underwater. To Ruben’s excellent soundtrack of 80’s love songs the other highlights of the day included geysers, red deserts and a thermal pool – apparently the highest in the world at around 4,000 metres above sea level. When we arrived it was already overflowing with other enthusiastic travellers but with the crisp air temperature and sharp breeze, I wasn’t game enough to take a dip. Our second night was more comfortable temperature-wise, but because we had reached 5,000 metres above sea level I had a horrendous headache and consequently had very little sleep. Luckily we had our own room that night, so I was able to mutter away angrily without bothering too many people! 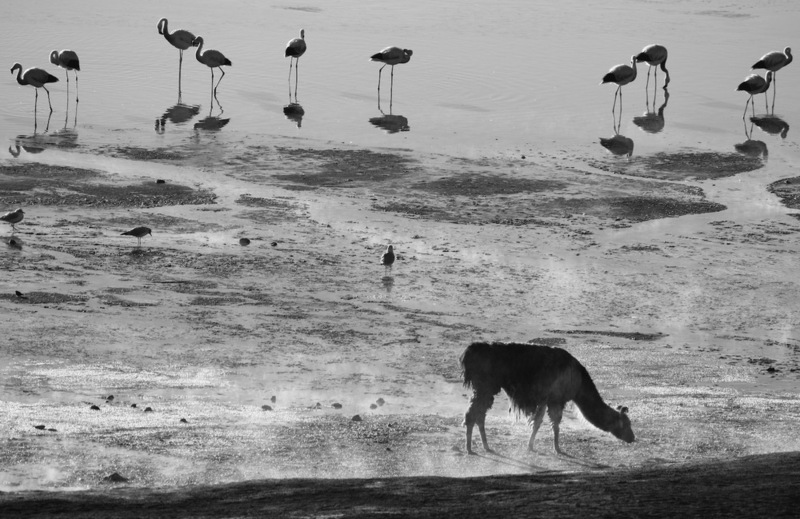 The morning of our third day began with a relaxing stop at Laguna Colorada (Coloured Lake) where we watched hoards of flamingos and a few llamas starting their day. We couldn’t help but sit silently and watch, as if in fear that our sounds would disturb the scene. 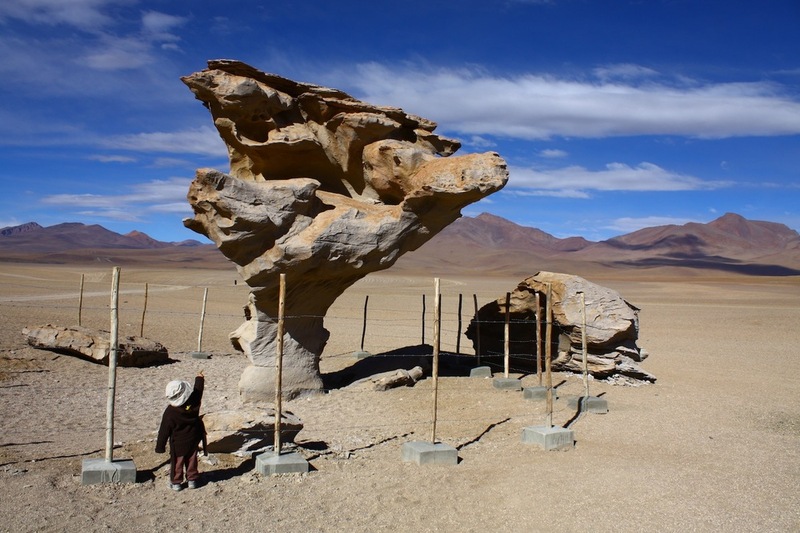 We continued along the red desert toward one of the main attractions in the area, the “rock tree”, a strange formation shaped by thousands of years of wind erosion that stands in the middle of a flat desert plain. 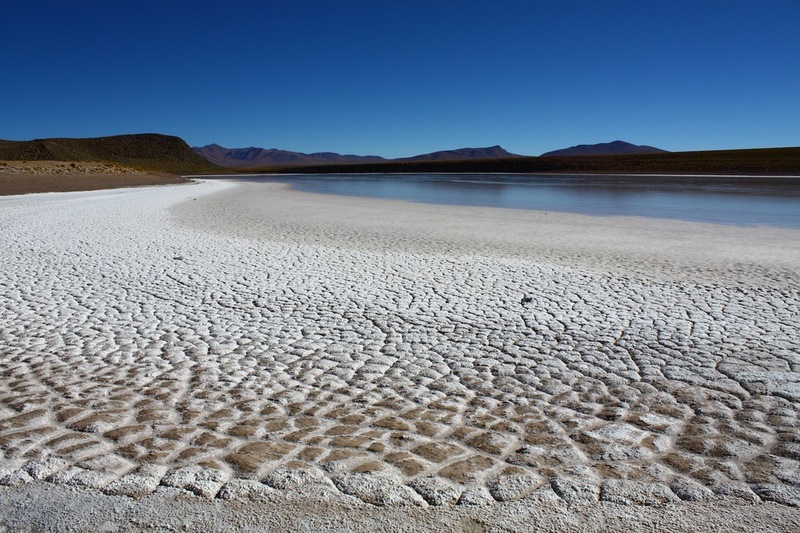 Many more strangely coloured, beautiful lakes paved the way as we crossed remote railway tracks before arriving at out final overnight destination – a salt hotel near the Salar. 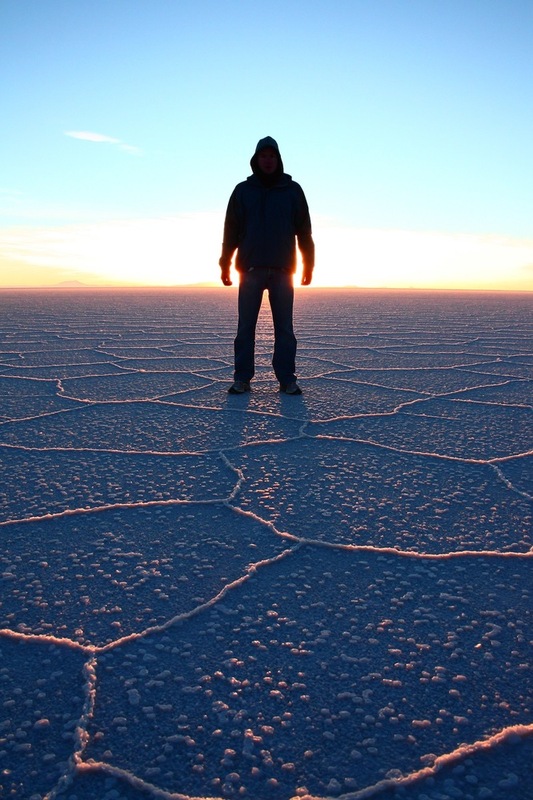 Up at 5.30am the last morning we left to see the sun rise over the the vast, white surface of the Salar de Uyuni. The sky turned from black to a medley of blues, purples and pinks, all mirroring on the patterned salt surface to make for a dreamlike scene. 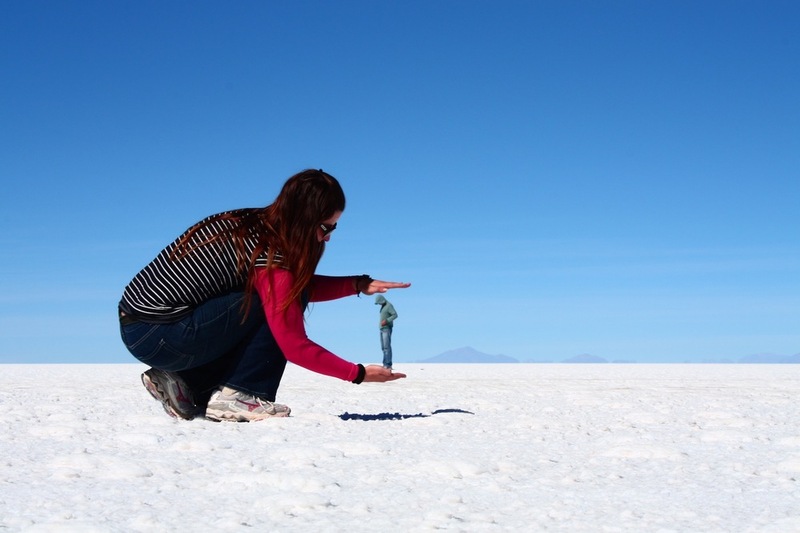 Breakfast was served at the base of the Salar’s most central island, Inca Huasi, and then it was time for the fun part – an hour of the obligatory depth-perception “trick” photography. 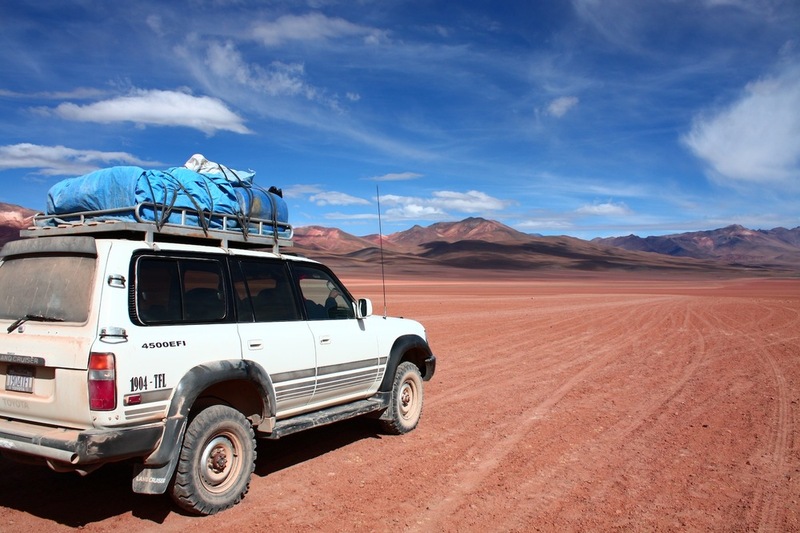 After a day of hearing the slat crack beneath our feet we left the Salar for the closest town of Uyuni. We arrived exhausted but with our memory cards and minds filled with scenes of beauty. We had several hours to kill before our 1.45am train to Oruro, so we checked in to a hotel for a rest. As I lay down I thought about why more people haven’t been to this part of the world. Here is probably why: It’s not easy – it’s cold, the altitude can be demanding on your body and the basic facilities leave you craving familiar, homely comforts. The tracks are not paved and the distances covered each day are considerable – an average of 10 hours each day. But here’s why more people should do it: the landscapes are utterly unbelievable and that simple fact makes every moment of night-time shivers and squatting behind rocks completely worth it. Price was USD180 per person for 4-day tour, including all accommodation meals and water but excluding National Park entry (30 Bs) and hot shower on the final night (10 Bs). You can also hire a sleeping bag for 50 Bs. 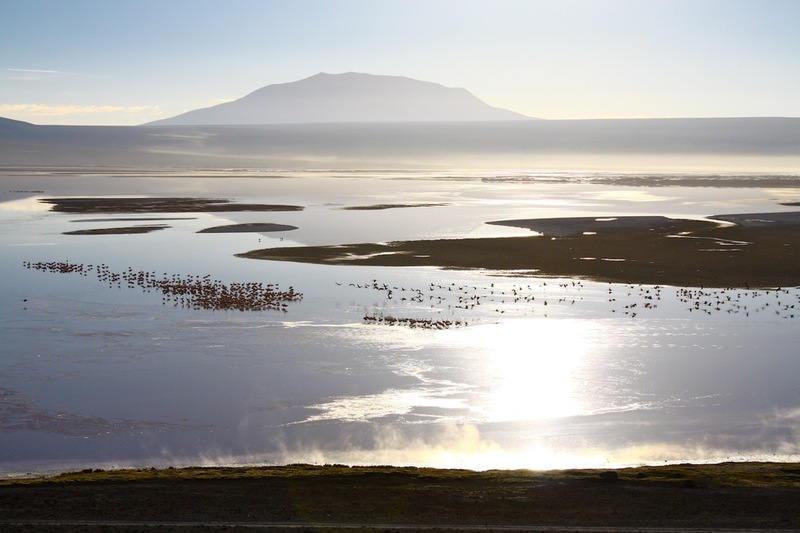 My recommendation is to depart from Tupiza instead of Uyuni so you can see the Salar at sunrise on the final day rather than in the afternoon of the first day. 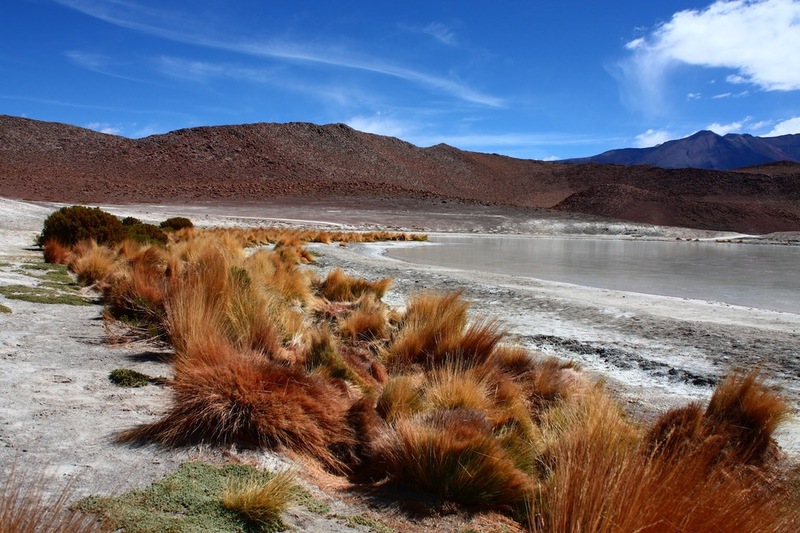 Note: other tour companies start and finish in different locations including San Pedro de Atacama in Chile. See my next blog post for tour and altitude tips. I can’t wait to do this trip in October. 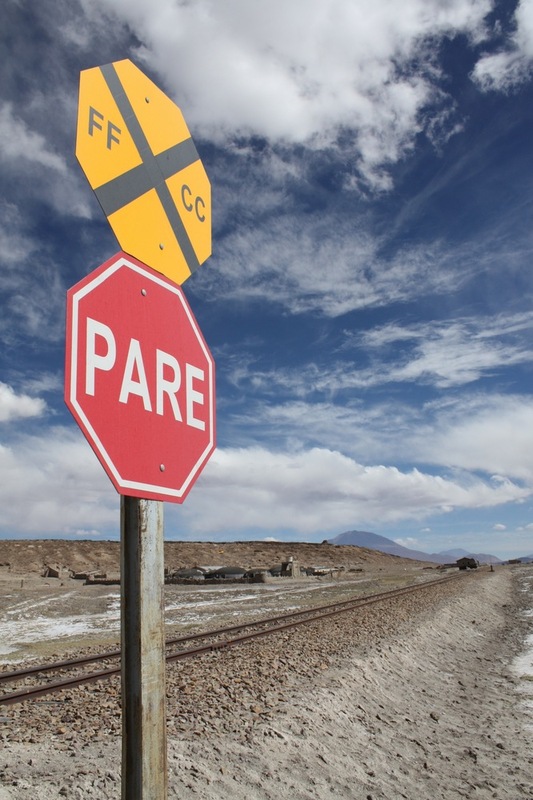 A few people have recommended setting off from Tupiza instead of Uyuni. It definitely sounds like the best way around, but if it means I have to spend the night with that puma now I’m not so sure!! That’s great that you’re going in a few months…it’s an amazing experience.